Welcome to the Impact Institute! Helping you improve your clinical outcomes! I found the course to be very beneficial as it was organized, concise, and case study driven. It provided real clinical scenarios and how to go about implementing these new concepts discussed throughout the course. I liked how it was easy to toggle back and forth between sections as I found myself needing to go back and review certain portions as I worked through the course. The course felt interactive and was packed with useful information. After taking this course it completely changed my framework in how I listen and treat my patients. This is a concise, informative, and innovative look into how to step up your game as a therapist!! What makes this course different is that after taking it, you actually have tools you can use instead of nice to know information. Worth every cent, and I can’t wait for more from them!! Advanced Movement RX is well worth the $299 ! What you get out of it is having the knowledge to creatively incorporate and progress exercise and movement to really expand your clientele and patient population. Check out this FREE mini course on exercise positioning! 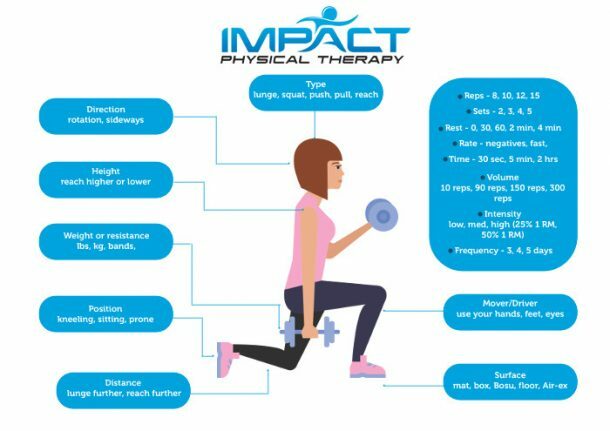 With one simple change in position you can drastically make a positive affect on your patient/clients exercise program. Download this free mini course and interactive workbook along with a FREE bonus "Movement Variable infographic." This course is designed to instantly enhance your knowledge of exercise prescription for all types of patients or clients.